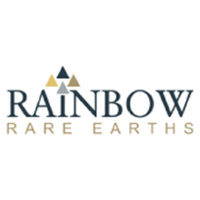 Rainbow Rare Earths Ltd (LON:RBW) CEO Martin Eales talks to DirectorsTalk about its operations update for the 3 months to 30th June 2018. Martin talks us through the highlights, explains how sales are going, why another mining area is opening up and updates us on drilling. Rainbow Rare Earths Ltd focus is the Gakara Project in Burundi, one of the highest-grade (47%-67% Total Rare Earth Oxide) rare earths projects globally and the only African producer. The Company began production of rare earth concentrates in Q4 2017 and is currently ramping up to a targeted run rate of 5,000tpa by the end of 2018 and 6,000tpa by the end of 2019. Rainbow has a ten-year distribution and offtake agreement with multinational thyssenkrupp Materials Trading secured for the sale of at least 5,000tpa of concentrate produced.